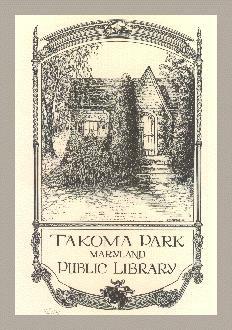 In 1935 The Takoma Park Women's Club sponsored a project organizing a library for Takoma Park, Maryland. A. L. Conger provided a house on Jackson Avenue as a temporary site. The town council donated $100, and about 200 books were collected to start the Library. In 1955, the new Takoma Park Maryland Library building at Philadelphia and Maple Avenues was dedicated and opened with about 30,000 volumes. Ruth B. Pratt, one of the founders of the library in 1935, served as librarian for 28 years. The building was designed by local architect Ronald Senseman, who also designed many of the churches and schools in this area. In 1963 the Library became a department of the city government, after being operated by the Takoma Park Maryland Library Association for 28 years. We are still located in the 1955 library building, though our collection size has doubled.